Been thinking about making a homemade press for the shed. Has anyone done this? Looking at 30-40 Ton, C frame (Arbor) press. Stuff on the 'net, is mega expensive, and usually "old factory" stuff. Thought about adapting an Enerpac/Porta power pump and ram. Even looking at Log Splitters. 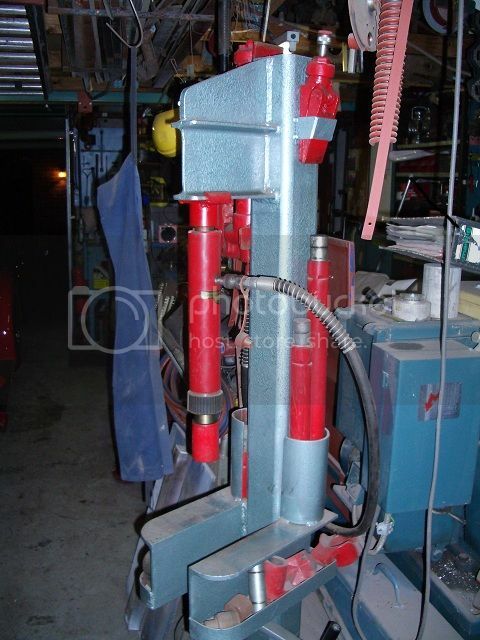 Re: Homemade hydraulic press. Anyone built one ? Found this Rolls Royce model on the 'net. 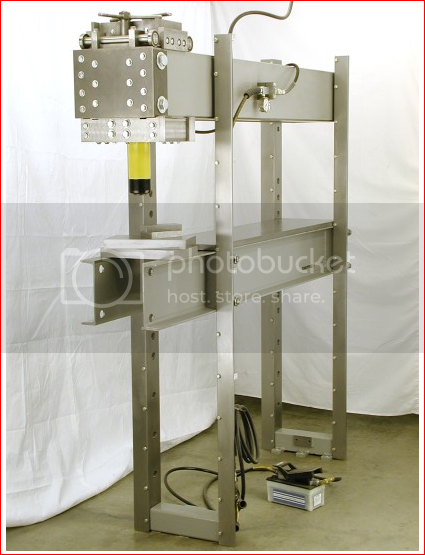 Hydraulic ram is on rollers, and slides across top rails. ! Brilliant. Yeah, like the design, Thanks TC. Was thinking more like this thing...... would allow for odd shapes and versatile uses.